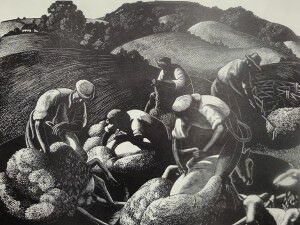 Clare Leighton created timeless impressions of agrarian life in England and the American South for over six decades. 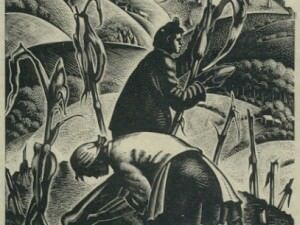 Initially, Leighton’s work seems to be unrelated to the two world wars and devastation she witnessed, instead reflecting the pastoral life of the era. 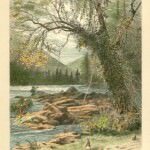 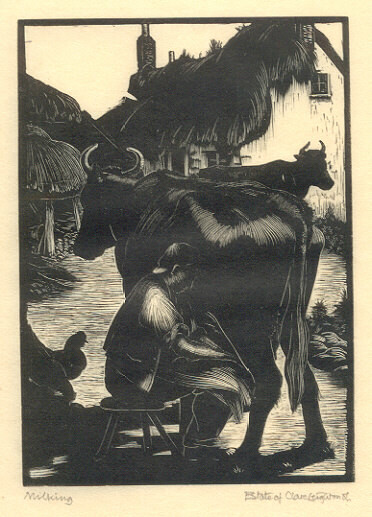 But while Leighton’s graphic work continued an idealized, nostalgic view of rural life, it was also a rebuttal of specific contemporary circumstances. 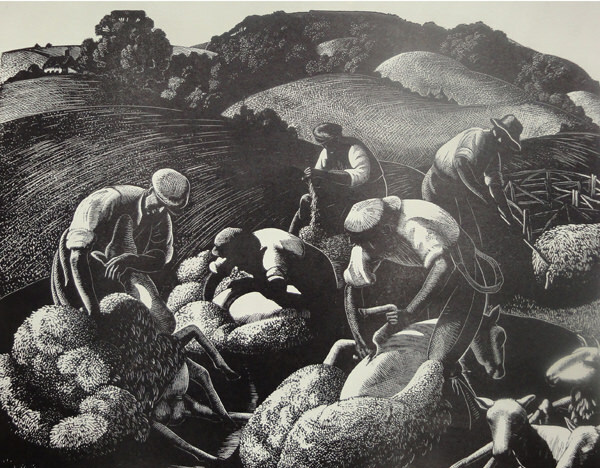 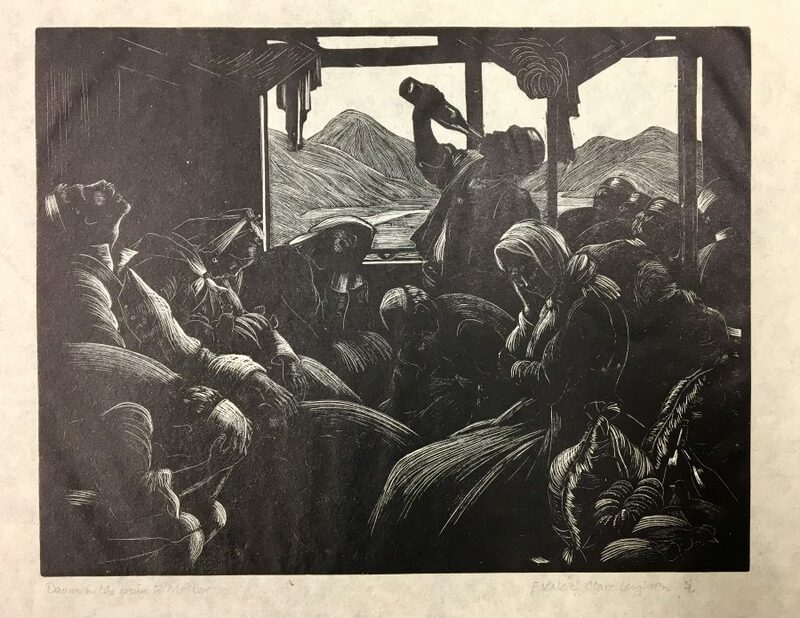 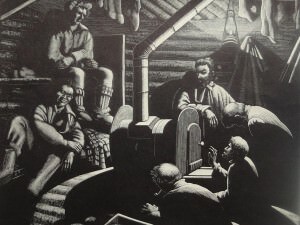 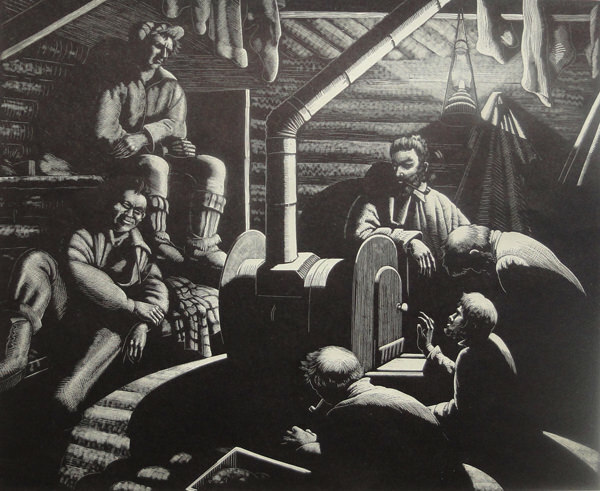 Clare Leighton’s imagery is laden with an intensely personal commentary on the foremost issues confronting the world in her time–war and mechanization, social and economic inequality, gentrification of the countryside, and spiritual poverty caused by societal ills. 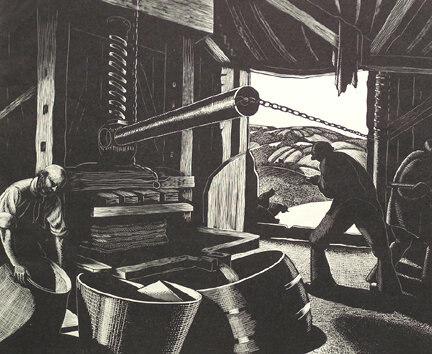 Leighton’s imagery reflected a worldview that valued the universal nature of creativity and the common bonds of workers of the earth. 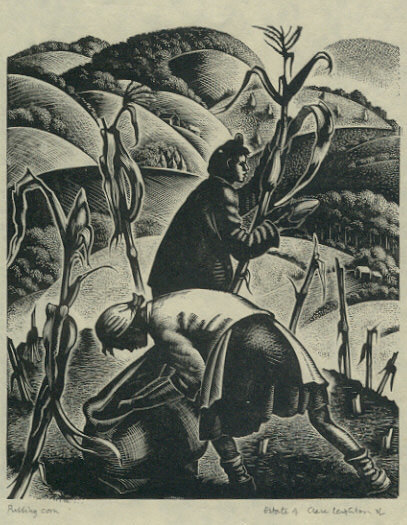 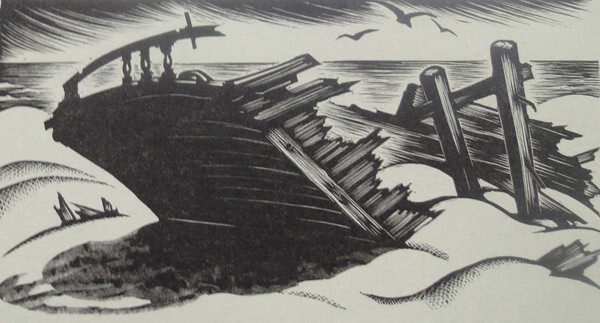 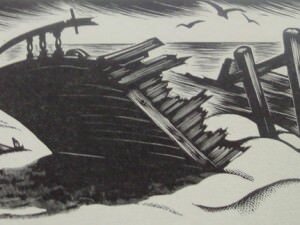 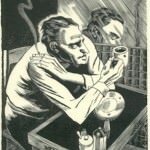 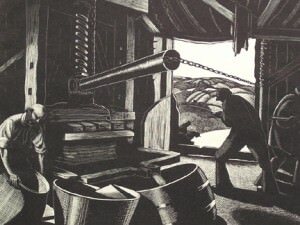 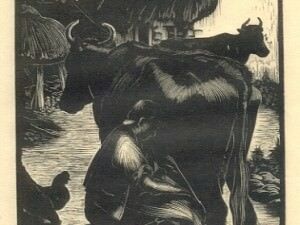 Her prolific wood engravings can be found in at least 65 books including The Return of the Native by Thomas Hardy. 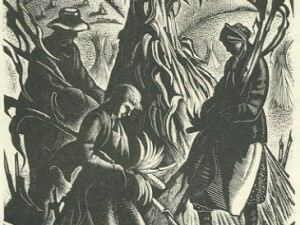 She also wrote and illustrated her own books such as The Farmers Year (1933), Four Hedges (1935), Country Matters (1937) and Southern Harvest (1942). 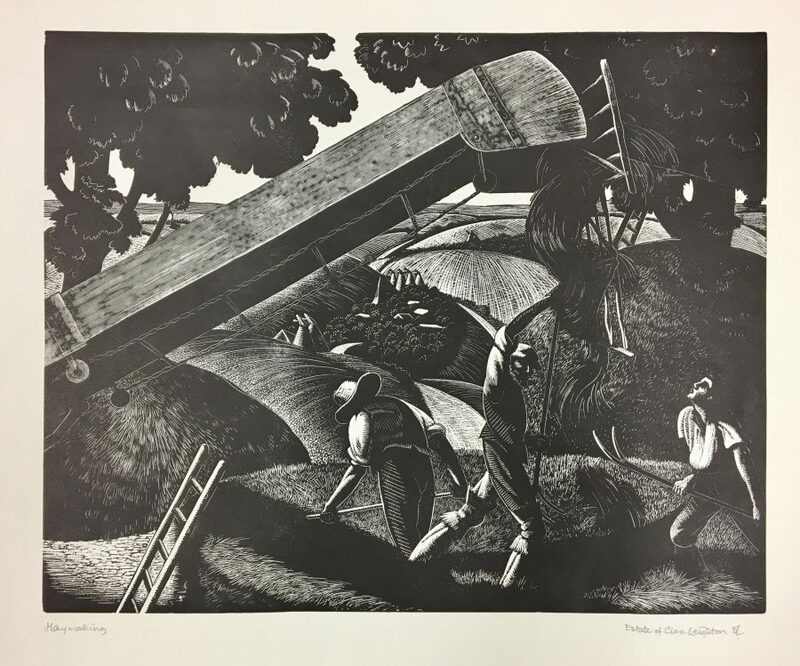 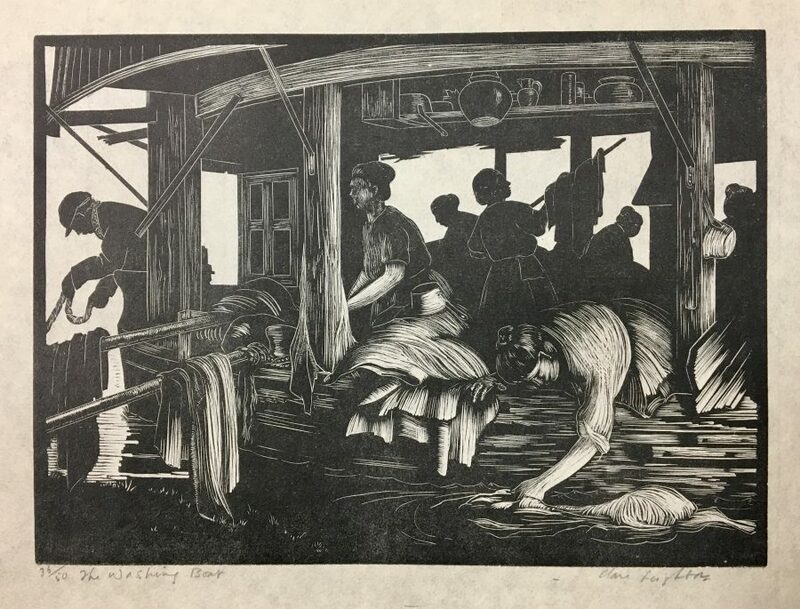 Clare Leighton immigrated to the United States in 1939 and set up home first in Baltimore, Maryland, then Durham, North Carolina and finally Woodbury, Connecticut. 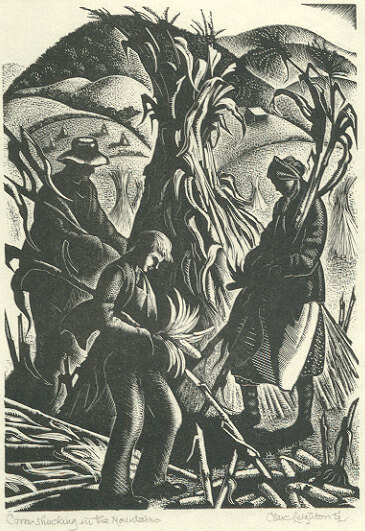 Leighton taught at Duke University while in Durham during the 1940’s and was part of a group of cultural elite that included the poet Paul Green. 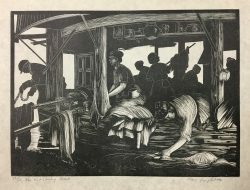 The artist became a United States citizen in 1945 and earned an honorary Doctor of Fine Arts from Colby College in Waterville, Maine. 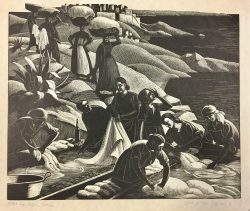 During her lifetime, Leighton was a member of numerous prestigious arts organizations including the National Institute of Arts and Letters in New York City, the National Academy of Design in New York City, the Royal Society of Painters, Etchers and Engravers in London and the Society of American Graphic Artists. She exhibited at the Pennsylvania Academy of Fine Arts, the Art Institute of Chicago and received a major retrospective in 1977 from the Boston Public Library. 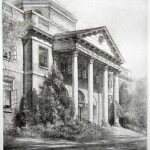 Engravings by Leighton are in collections of the Museum of Modern Art and the Metropolitan Museum of Art in New York City, the Art Institute of Chicago, the Cleveland Museum of Art, the Baltimore Museum of Art, and in both the Victoria and Albert and The British Museum in London.